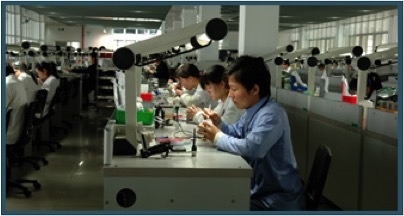 Trading company set up in 2008, involved in the sourcing of dental products from China to the Benelux. After a first exploratory visit to China in 2007, initiated and assisted by Horsten, it was decided to start the import of dental products from China. Contracts were signed with a preferred supplier in China in January 2008, which lead to the first imports in May 2008. Denta Mundi’s customers are based in Belgium and the Netherlands, and packages are being sent to and from China on a daily basis with an all-in lead-time of only 10 days. Since its start-up Denta Mundi had built a strong reputation in the dental industry in Belgium and the Netherlands. Horsten International introduced the project to the shareholders of Denta Mundi, and after the decision was made to go ahead, Horsten assisted Denta Mundi in the implementation of the project, as well as the negotiation with the supplier, advise on the legal structure and fiscal optimisations, setting up of the Hong Kong affiliate, general project management, sourcing of other products, etc. Horsten was also a shareholder in the company until early 2015.